IE8 is on its way out. IE10 is officially the most used version of Internet Explorer (source). 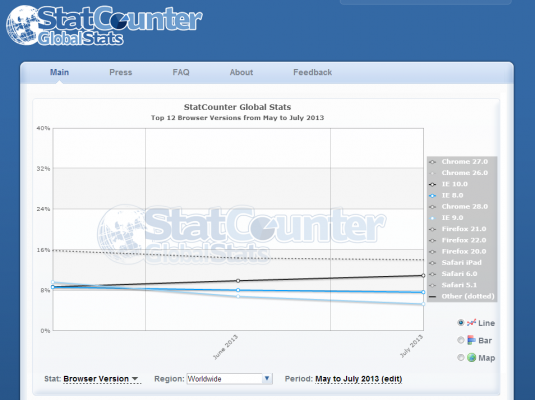 You can see from the previous link or screenshot below the decline of IE9 as browser updates are pushed. IE8 hold outs may be on corporate images. The death of IE8 will mean some pretty great CSS and HTML stuff becoming universal!